TechRadar is a big fan of Nike+ technology, simply because it does something we never thought possible – it makes jogging fun! 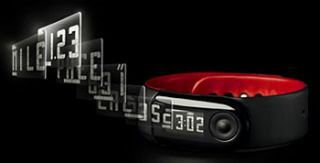 However, Nike+ is nowhere near as in-depth as Samsung and Adidas’ micoach system, so we welcome today’s news that the system is set to extend beyond compatibility with Apple’s iPod nano and is soon to work with your iPhone or your iPod touch. Nike has also claimed that it plans to develop the proprietary RF link between the shoe module and iPod nano adapter to make use of Wi-Fi and, at some point down the line, 3G. Which means you will be able to keep your training schedule updated and check in on it wherever and whenever you like. You may remember that TechRadar informed you last month of a patent for Apple’s lifestyle companion device. Nike has also launched the new Nike+ Coach feature on its website – your very own online personal trainer! We’ll be trialling this system in the coming weeks.